When it comes to smoothies, fruit is typically what makes them sweet and delicious. However, when you combine several types of fruits into a single drink, the natural sugar content can start to add up quickly. That’s why I’m sharing two low sugar smoothie recipes with you today, along with several variations to help keep your week interesting. 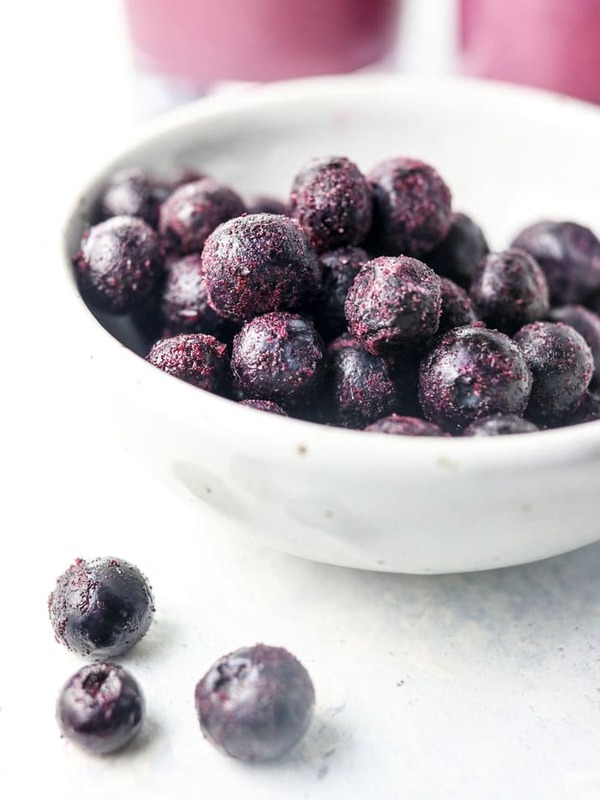 They’re made with low-sugar berries, which are loaded with antioxidants, and a sneaky serving of frozen cauliflower and creamy avocado to help bulk them up, without adding extra sugar into your glass. Which Fruits are Low in Sugar? And to help “bulk up” your smoothie without using extra fruit, you might also want to try adding in one or more of the following ingredients to help add fiber and more nutrition. 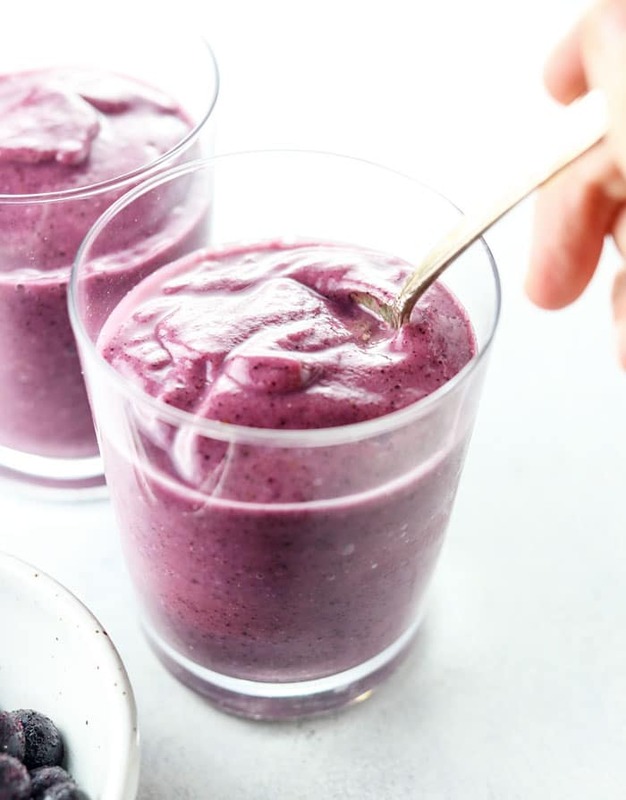 These extra add-ins help add creaminess, without relying dairy, and are relatively neutral in flavor so they won’t overpower the overall taste of your smoothie. 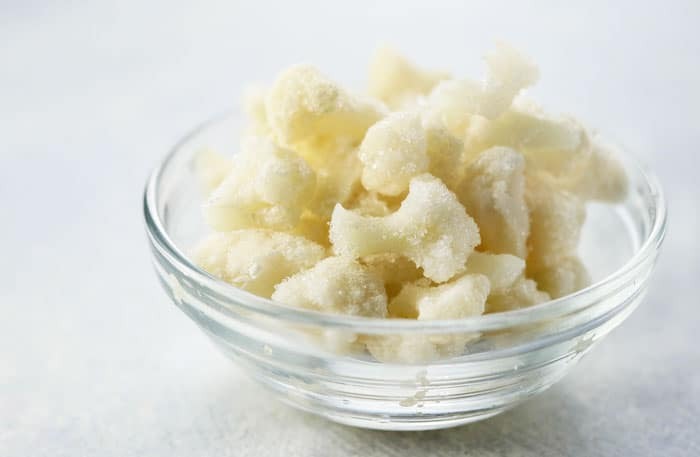 Is Fruit Sugar Bad For You? Eating fruit may also promote weight loss. In this study, researchers compared a low-fructose group, that consumed no fructose or added fruit, to a moderate fructose group that included fruit in their diet. To their surprise, the group that consumed fruit lost more weight compared to those on the low-fructose plan, even though both groups were eating the same number of calories. I share this information because I want you to LOVE everything you eat, and if you’re avoiding fruit because you think it will help you lose weight faster or because you’re scared of the natural sugar content, you might not be enjoying your meals to their fullest. You might even feel restricted and wind up stuck in a cycle of binge eating like I did. Enjoying what you eat daily is key to sticking to a healthy lifestyle and achieving permanent results, so don’t be scared to add more fruit to these recipes if that will make you enjoy them more. You’ll get an extra nutrient boost as a bonus! I also wouldn’t go adding zero-calorie sweeteners to this smoothie (you can read why I stopped using stevia here), because I feel like that might defeat the point of trying to reduce your sugar intake. Let your taste buds adapt to the natural sweetness of fruit, without skewing your taste buds, or add a little extra sweet fruit like the ones I mentioned above to boost the flavor. Mango, which is a little higher in sugar, may help to control or even lower blood sugar levels (source), so don’t be afraid to add an extra handful to improve your smoothie’s overall flavor. Feel free to get creative! 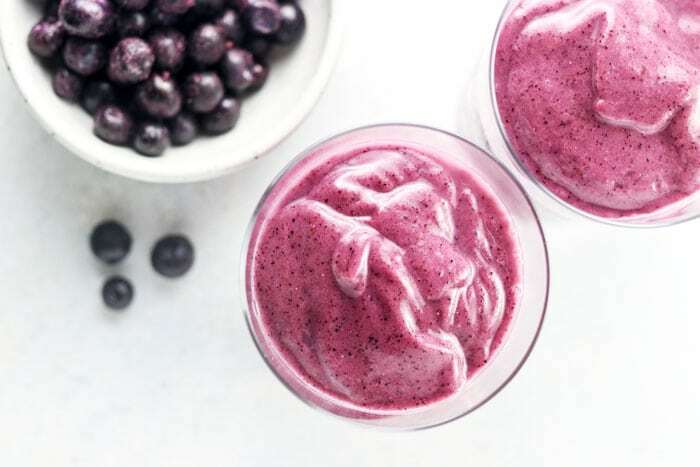 This low sugar smoothie recipe is made with blueberries and frozen cauliflower, for a healthy breakfast or snack. Only 12 grams of sugar per serving! Combine all of the ingredients in a high speed blender and blend until smooth and creamy. Add more water as needed, then serve immediately. 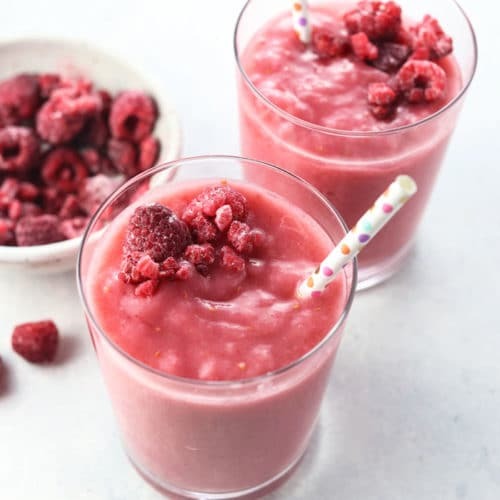 This raspberry smoothie is a great low-sugar option for those following a low carb diet. It gets its creamy texture from frozen cauliflower and avocado! Combine all of the ingredients in a high-speed blender and blend until smooth. Add more water as needed to facilitate blending. 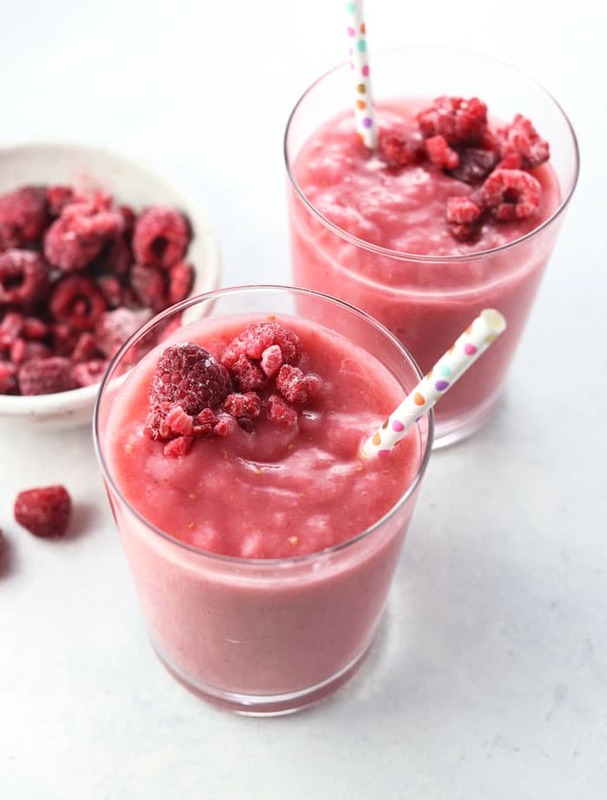 To keep these smoothies affordable and accessible year-round, I used frozen fruit, but if you use fresh fruit these recipes will have more flavor. If berries are in season where you are, I’d encourage you to use fresh fruits and less water when you blend these. Feel free to swap the fruit in these recipes with any of the other ones I mentioned above. As always, if you try something different please leave a comment below so we can all benefit from your experience! You can post extra photos all week long on social media for bonus entries, so the more you participate, the better your chances of winning! *This giveaway is open to US and Canadian residents only. I’m sponsoring the giveaway myself, so there is no affiliation with Vitamix– I just love their blender! Entries will be accepted until Sunday, January 7th at 11:59pm PST. Congrats to Caren Rogers, the winner of the Vitamix giveaway! Check out our Week #2 giveaway here. Reader Feedback: What’s your favorite smoothie combination? Feel free to share recipes in the comments below! We’ll make your Cauliflower Baked Ziti! We probably make it every other week and our toddler son loves it! Frosty chocolate shake is my ultimate favorite. Make it several times a day and the cauliflower baked ziti is unbelievable. I love making meatless meals that fill my husband up. When I get home, I will be making your ginger cookies (I am super late to the holiday baking). That blueberry smoothy recipe looks interesting – I might give that a go as well, maybe. I hate my blender so I avoid smoothy making. 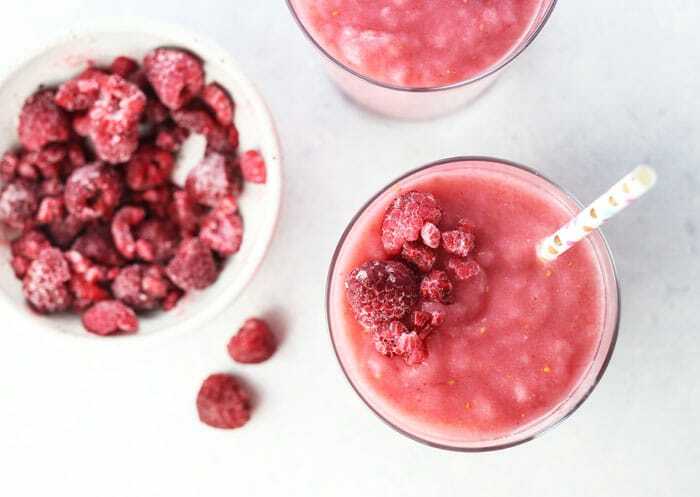 Going to try the raspberry smoothie,yum! I’m making the Mexican Chicken Soup for dinner the rest of the week. Yum! Omg your peanut butter banana milkshake is life changing I just saw it and had to make it strait away wow thank you so much I’m new to being vegan and really missed a great chocolate thick shake not any more. I made the Healthy Granola recipe, love the pumpkin spice taste and the fact that it is oil free! Next one to try is the egg roll in a bowl, it looks easy and something the hubby will eat too. We love all the clean yet easy recipes you create, thank you! I’ll be trying the blueberry smoothie with cauliflower this weekend! I really enjoy the recipes on your site. I have made your Vegan Nacho Cheez-It’s many times and I love them for a low carb snack. Thank you for all the wonderful suggestions! The smoothies are the best recipes for me. It’s quick, easy and I usually have all the ingredients on hand. Thanks. My husband and I just finished our bean minestrone from your extra recipe bonus for ordering No Excuses. It is our favorite soup . I have literally cooked every recipe in both books and have just made almond pulp hummus and your cashew cheese( my favorite version of queso ) for a party tonight . Am feeling healthy and strong and grateful at age )7 ❤️❤️❤️. 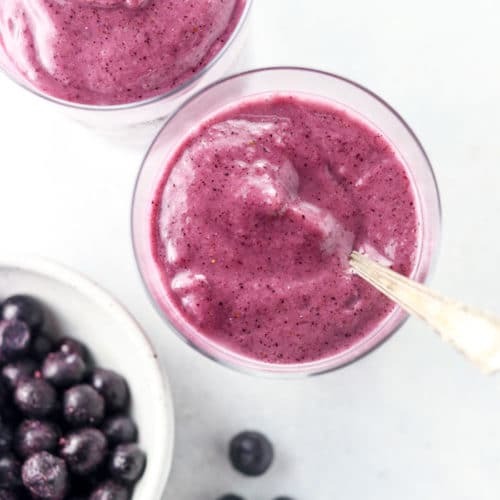 That blueberry smoothie sounds delish!! I made the almond butter freezer fudge last night and am looking forward to trying one of these delicious smoothies! The low sugar raspberry smoothie was amazing! My 7 year old and I had it for breakfast this morning and can’t wait to try another one tomorrow! Hey Megan, thank for posting. It’s awesome that you provide validated research too. Looking forward to trying out many of your recipes from everyday detox! My kids and I will be giving your peachy green cleanser smoothie a try today! I made the carmelized onion & bell pepper frittata last night. So fast, easy and delicious! I just served my carnivore husband a piece of ham on the side. I use your “Everyday Detox” cookbook often! We love your Morning Glory Muffins, Almond Flour Banana Bread, and Yellow Curry especially! But ALL of your recipes have been life savers for my gf, df, egg free toddler because of allergies!! I made the healthy dairy free hot chocolate, yum! Here is my menu for the week! Sushi bowls, chickpea tikka masala, make ahead lunch bowls, sweet potato quinoa mason jar salads, classic green smoothies, chocolate covered cherry smoothies, granola and pumpkin muffins. That all sounds AMAZING! Hope you enjoy them! Making your instant pot black beans right now. So glad I found your site! Thank you. This week i willmake Vegetable Masala and vegan cauliflower pizza crust. Planning to make the sweet potato Mac and cheese! It’s one of our faves. I made your healthy dairy free hot chocolate during the snow storm! It was perfect timing I found your recipe. I tried the paleo cinnamon rolls and they were great! I actually tried to make it vegan (I know, tsk tsk) using an avocado instead of eggs and it was still delicious. Perhaps not one I can serve to ooohs and aaah presentation wise but it was so yummy and came together better than other paleo cinnamon roll recipes out there. Thank you! Another great post Megan! Thanks. I would need to substitute the avocado for something else like zucchini? I have major insensitivity to avocado. I just finished your vegan Mac and cheese for lunch. I have been craving it for days now.love it! Yes, I think that substitution would be fine, or you could add another healthy fat like chia seeds or hemp hearts if you want the smoothie to be a little more filling. I made the Baked Cauliflower “Ziti” for a delicious New Year’s dinner! Yum! We love your almond butter pancakes!! I just added your spiralized butternut pasta with mushrooms and sage to my meal planning app last night and am looking forward to it. Our blender is on its last leg, so this would be exciting! I’m going to try the low sugar blueberry smoothie. So excited about the possibility of winning a vita mix!!!! I make the easy vegetable curry and the vegan mac n cheese almost weekly. These smoothie recipes look great. By the way, I concur with your Stevia assessment; I have not tried avocado and cauliflower in this way, and I will make these smoothie recipes this week! HAPPY 2018, AND THANK YOU FOR ALL THE GREAT RECIPES! I made the witch finger cookies for Halloween – big hit with my husband! I’ll be making the avocado cilantro dressing this week. Also hope to make chocolate peanut butter balls. Thanks for the giveaway! I made the Veggie Chow Mein this week, and my whole family LOVED it!! Just curious about your study citation above, is there info regarding the participants exercise level or what else they’re eating? Are people to assume they kept everything else in their lives ‘as is’? I’m not a big fan of studies, given the (possible) personal bias of experimenters, as well as other totally random factors. Of course, it makes sense that fruit is better than ‘industrial’ fructose, but the weight loss study has me wondering, particularly, if fruit contributes negatively to those with blood sugar and/or pancreatic issues. Am I missing something with your reliance on them? Yes, I often find myself frustrated with most studies because nearly all of them are biased to an extent. I especially hate it when they isolate something (like fructose) and then apply those findings to everything with that ingredient in them, even though fructose is never found in nature isolated on its own– it’s only isolated in refined things, like white sugar or high fructose corn syrup. That’s why I think it’s important to point out that fruit contains other nutrients that actually block the effects of fructose. Honestly, I tend to rely less on studies these days and more on my gut feelings. My gut says that fruit isn’t bad for me, the only time I doubted that was when some researcher got publicity for saying otherwise (though his research never actually looked at whole fruits– he just lumped them into the “fructose category” after studying industrial fructose). I made your mushroom and leek frittata on Christmas morning from No Excuses Detox. Yum! I also made your GF cinnamon rolls and they were good. I just found your blog this week and can’t wait to jump into the recipes! Our goal for 2018 is to eat less meat and you have such a great selection of delicious looking recipes! First on my list is the Kung Pao Chickpeas! A Vitamix blender would be an awesome addition to my kitchen! Hi Megan, I regularly make recipies from your site and am never disappointed. This week, I’m planning to make Paleo Double Chocolate Pumpkin Muffins; a recipe in regular rotation at my house and a great way to use leftover pumpkin. Thanks for all your hard work. Vegan mac and cheese with roasted broccoli from your cookbook! I made your vegan enchilada casserole a few weeks ago and it was a hit with the the kids! On the meal plan for this week again. Also, for my lunches with week making curried sweet potato bisque from your first cookbook. Happy 2018! I made the breakfast chia seed pudding! Happy 2018 Megan and everyone!!!! I’ll definitely be making the Vegan Cherry Chocolate Smoothie and Chia Pudding. My goal is to incorporate more healthy fats! I am going to make your instant pot quinoa breakfast bowls so that I can have breakfast prepped for the week. I am also going to make your Raw Brownie Bites, which are my favorite! Perfect to have tucked in the freezer when I need a bite of chocolate! This smoothie looks great. U also like your egg roll deconstructed. I’ll be making the Chocolate Peanut Butter Banana Smoothie, but will be adding cauliflower to the recipe for some additional veggies!